Before or at the time of collecting personal information, the Port of Friday Harbor will identify the purposes for which information is being collected. The Port of Friday Harbor will collect and use of personal information solely with the objective of fulfilling those purposes specified by us and for other compatible purposes, unless the Port of Friday Harbor obtains the consent of the individual concerned or as required by law. The Port of Friday Harbor will retain personal information as required by applicable Washington law. The Port of Friday Harbor will collect personal information according to law and, where appropriate, with the knowledge or consent of the individual concerned. The Port of Friday Harbor will protect personal information by reasonable security safeguards common to Washington governments of a similar size against loss or theft, as well as unauthorized access, disclosure, copying, use or modification. The Port of Friday Harbor will make readily available information about our policies and practices relating to the management of personal information. The Port of Friday Harbor is committed to conducting its activities in accordance applicable Washington law and with the policies stated above. This license shall automatically terminate if you violate any of these restrictions and may be terminated by Port of Friday Harbor at any time for any reason or no reason. The materials on Port of Friday Harbor web site are provided “as is.” The Port of Friday Harbor makes no warranties, expressed or implied, and hereby disclaims and negates all other warranties, including without limitation, implied warranties or conditions of merchantability, fitness for a particular purpose, or non-infringement of intellectual property or other violation of rights. Further, Port of Friday Harbor does not warrant or make any representations concerning the accuracy, likely results, or reliability of the use of the materials on this web site or otherwise relating to such materials or on any sites linked to this site. In no event shall the Port of Friday Harbor be liable for any damages (including, without limitation, damages for loss of data or profit, or due to business interruption) arising out of the use or inability to use the materials on Port of Friday Harbor’s web site, even if Port of Friday Harbor or a Port of Friday Harbor authorized representative has been notified orally or in writing of the possibility of such damage. The materials appearing on Port of Friday Harbor’s web site could include technical, typographical, or photographic errors. The Port of Friday Harbor does not warrant that any of the materials on its web site are accurate, complete, or current. The Port of Friday Harbor may make changes to the materials contained on its web site at any time without notice. The Port of Friday Harbor does not, however, make any commitment to update the materials. The Port of Friday Harbor has not reviewed all the sites linked to its Internet web site and is not responsible for the contents of any such linked site. 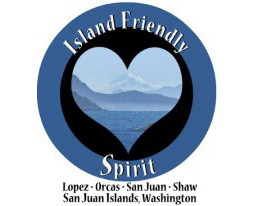 The inclusion of any link does not imply endorsement by Port of Friday Harbor of the site. Use of any such linked web site is at the user’s own risk. Any claim relating to Port of Friday Harbor’s web site shall be governed by the laws of the State of Washington without regard to its conflict of law provisions. The sole and exclusive jurisdiction and venue for any claim shall be in San Juan County Superior Court and not in any federal court.